For decades, one of the biggest markers of prestige for a business was its property: an imposing, large-scale office building was the sign of a truly successful company. But this idea is changing, as increasing numbers of us turn away from the traditional model of commuting every day into a central corporate HQ. This is happening around the world – in the UK, for example, 15% of employees work from home, while in India the figure has already hit 50%. As a result, the decreasing number of us using the traditional model is rendering these big, sole-occupancy office buildings a smaller part of the bigger picture. For brokers, this could be seen as a threat to their bottom line, as their portfolio of large, single-site offerings becomes more and more outdated. This isn’t, however, the whole story – it’s also a rare opportunity to pivot your sales strategy and take advantage of the reshaped ideas about working. Using data gathered from our large client base through our annual Great Big Survey* (GBS), we explore how brokers can reshape their offering to capitalise on the increasing preference for flexibility in how – and where – we do our jobs. The big corporate HQ is a traditional institution facing contemporary challenges – Brokers need to respond to companies’ needs for more agile solutions that match the flexibility and speed they expect elsewhere in their business. Long-term market trends are turning against the traditional office deal – Companies are looking to reduce the amount of space they lease per worker – and brokers’ strategies should take this into account. Workers don’t like the traditional office – but they also don’t like working at home – It’s key to be able to offer them a midway house between the two, combining a short commute and easy accessibility with a professional, team-oriented environment. The future of brokering is selling workspace, not just offices – Offering flexible, scalable solutions as well as options for traditional long-term leases allows you to meet the needs of companies and their staff alike. Reinventing the deal can mean better cash flow and an improved bottom line – Brokers aren’t just defending their business against a threat, they’ve got a real opportunity to find a better way of working for everyone – including themselves. Social and economic trends which have been growing for decades are now reshaping our ideas about the modern office. For commercial brokers, they represent a challenge – and an opportunity – that you can’t afford to ignore. The origin of these trends lies in 1973, when the OPEC oil crisis and gridlock brought the USA to a standstill. It began to become clear that bringing hundreds of workers into large corporate HQs every day was not going to be sustainable in the long run. On the east coast of the USA that year, the World Trade Center was officially opened – an office complex totalling 1.24 million m2 of floorspace and containing what was then the world’s tallest building. Meanwhile, on the west coast, a former NASA engineer named Jack Nilles was developing ideas that could make buildings like the WTC obsolete. In the shadow of the energy crisis, he came up with the concept of ‘telecommuting’. His idea was for a network of small offices near to people’s homes that would allow them to walk or bike to work. Today, the digital technologies which underpin telecommuting are affordable and common enough to make Jack Nilles’ dream a reality for millions. According to Regus research, 54% of employees worldwide now spend half the week working somewhere other than their company’s main office locations. With new, flexible ways of working growing in popularity, our cities and offices are being transformed. But so too are commercial brokering strategies – in this environment, business as usual is no longer an option. For those who seize the moment, there will be an opportunity to create a whole new kind of business. In this paper, we explore the trends that are reshaping the market, discover what your clients and their employees want – and examine the financial benefits for you. Telecommuting was invented in the shadow of the OPEC energy crisis, but the growth of remote working has in reality been driven by an even more precious commodity: time. Regus research shows that the most popular reason behind the growth of flexible working, chosen by 61% of respondents, was the desire for a greater work-life balance. Perhaps that’s why the average home-worker isn’t the stereotype of a young freelancer working from a coffee shop. Instead, the US Census Bureau found that the typical telecommuter is a 49-year-old man or woman, earning a salary equivalent to £44,000 and working for a company with more than 100 employees. They are busy people, juggling high-level jobs and the demands of home life. Worldwide, an average of around 52% of workers telecommute regularly – in South Africa, this figure rises to 56%, to 59% in the USA, and in Argentina to more than 60%. Technology has always been seen as the enabler of remote working. But changing cultural attitudes has been just as important. We have perhaps now reached a tipping point: 54% of employees say their company allows them to work remotely sometimes and 70% say flexible working arrangements are important. Nearly a third say they are more productive away from the office. These cultural changes, driven by a wish for an improved work-life balance, are reshaping what companies want from their office buildings. They are given even more impact by changes in the economic landscape. Together, these trends have the power to transform the business of office space. Has the traditional office’s popularity already passed its peak? Many experts believe so: financial pressures are increasingly driving companies to seek smaller, more flexible and cheaper offices. A study by Norm Miller, Professor of Real Estate Finance at the University of San Diego, broke down the office space used by the average worker since 2000. Examining the 54 largest markets in the US, he found that office space peaked at the end of 2009 – and has since dropped by 50%, with new leases in 2013 averaging just 17m2 per person. Professor Miller argues that the global recession in 2008 put an end to cheap rent and led companies to look for significant financial savings. Further data from Deutsche Asset Management shows this trend has since continued, with office space density per worker in the US continuing to decrease between 2013 and 2016. It’s not just a short-term trend: although the tendency has undergone a marked acceleration in recent years, office space has been shrinking since 1990. And it’s happening globally: Asia and Europe, where space is often at a greater premium than the USA, are seeing bigger changes. In cities such as London, the pressures of the residential property market and the changing balance between work and home life are reshaping the city. Office space has fallen in London for six consecutive months, the largest decline since the 1990s. In Westminster alone, 409,000 square metres of space has been converted from offices to homes. Not every company is rushing to slash the size of their office and to encourage more remote working. Ironically, perhaps, the technology sector which has done so much to enable telecommuting has been one of the biggest proponents of the traditional office. Apple is building a new spaceship-like corporate HQ in California with 260,000 square metres of space. Google spent $1.9 billion to buy an entire New York City block. And Yahoo! CEO Marissa Mayer made headlines when she banned working from home in a bid to encourage greater collaboration. But the overall trends are clear. Brokers face a future where they could be chasing fewer and fewer significant traditional office deals. Or they face investing larger amounts of time and money to secure dozens of small deals to match the value of one major deal in the past. But there’s a third option, too: to change the way they work and fit into the new realities of the business world and the property market. Businesses also face demand from their employees to allow more flexible working, to give them the chance of a better work-life balance. It’s no wonder that workers are demanding to work nearer to home, when the daily commute is chipping away at our health and happiness. According to Regus research, more than 20% of workers were considering quitting their jobs because of excessively long commutes. Over 27% of workers label their commute as a waste of personal and professional productivity. Our health suffers from long commutes too, with greater distances from work associated with greater obesity, less sleep, more stress, and complaints such as neck or back pain. With employers increasingly committed to helping their staff maintain their health – not least because fewer absences and improved happiness means greater productivity – they can hardly ignore the damage done by the commute. They’re also responding to a clearly articulated preference from their staff, when it comes to recruitment and retention. 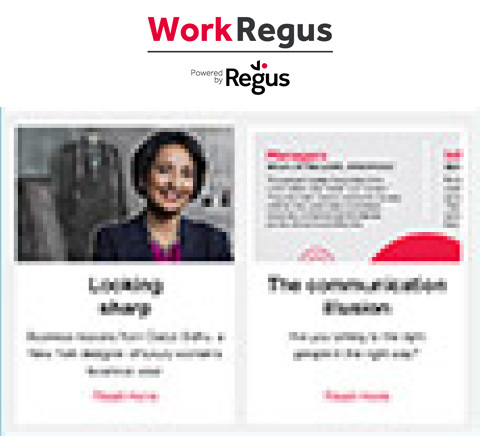 Regus research shows that 61% of workers would actively change jobs in order to secure flexible working – and 93% would choose a company which offered remote working over one that didn’t. Employees are voting with their feet, so your clients have to respond. Simply allowing employees the opportunity to work from home rarely meets this demand, however. Companies may resist home-working because they value the collaboration which takes place between workers in the same office – but so do employees. It’s the aspect of office life which is most missed by home-workers, according to the Regus Home Working Survey: 56% of respondents said the lack of a team environment and interaction with colleagues was the hardest thing about working from home. Workers and their employers are looking for new solutions. They know that the old model of a long commute into a central corporate HQ isn’t working. But they’ve tried getting work done from home and they miss the professionalism and collaboration of the office. There’s an appetite for something which could offer the best of both worlds. Meet that and the threat posed by a changing property market becomes an exciting opportunity. Our hyper-connected world is all about giving people what they want, just when they need it. The "just-in-time" approach revolutionised manufacturing in the 1970s: it eliminated waste by providing only the materials that were being used immediately. By offering flexible workspace as well as the more traditional office solutions, you can be part of a similar revolution, where companies acquire just the space that they need, when they need it. This means your clients have the option to choose places to work at one of thousands of locations worldwide on a full-time, part-time or pay-as-you-go basis, including satellite offices in easy-to-reach locations near residential areas. Crucially, with this model, they’re only paying for what they need, when they need it. 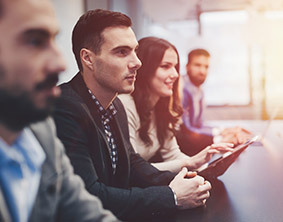 For companies aiming to meet tighter-than-ever financial targets, this kind of workspace has major advantages over signing a long-term office lease: as well as cutting waste, there are no capital requirements – and all-inclusive prices for everything from receptionists to networking make it easier to cost out. It also allows them to respond to employees’ needs for a professional and inspiring place to work and share ideas with colleagues that is nearer to home. Staff forced to choose between a long commute to corporate HQ and unproductive efforts to work at home do have another option. And if their business requires them to travel, they can take their office with them, checking in at a local location. The new brokering is perhaps above all best for brokers. It doesn’t merely meet the challenges of the future, ensuring your customers will keep coming back to you for workspace. It also offers distinct advantages to making money from traditional office deals. It’s faster: without having to negotiate lengthy contracts and seek the right location, closing deals takes much less time. Companies will be quicker to sign because there’s no commitment of capital expenditure and leases are flexible. This speed means a better cash flow for brokers. Instead of waiting for commission to trickle in over a number of years of the lease, you can expect a 10% commission paid up-front on all completed deals. Fees are paid within 30 days, not over years. Instead of putting more effort into chasing fewer, smaller deals in a dwindling market, there’s an opportunity to reinvent the business into something better. The big corporate HQ is a now-outdated phenomenon facing the challenges of a modern business. Brokers need to respond to companies’ needs for more agile solutions that match the flexibility and speed they expect elsewhere in their business. Long-term market trends are turning against the traditional office deal. Companies are looking to reduce the amount of space they lease per worker – and brokers’ strategies should take this into account. Workers don’t like the traditional office – but they also don’t like working at home. It’s key to be able to offer them a midway house between the two, combining a short commute and easy accessibility with a professional, team-oriented environment. The future of brokering is selling workspace, not just offices. Offering flexible, scalable solutions as well as options for traditional long-term leases allows you to meet the needs of companies and their staff alike. Reinventing the deal can mean better cash flow and an improved bottom line. Brokers aren’t just defending their business against a threat, they’ve got a real opportunity to find a better way of working for everyone – including themselves.